Thousands of the eastern population breed in northeast Russia and winter in central China. It is perhaps surprisingly rare in Beijing with fewer than 10? records. It is undoubtedly overlooked amongst large flocks of BEAN GEESE. 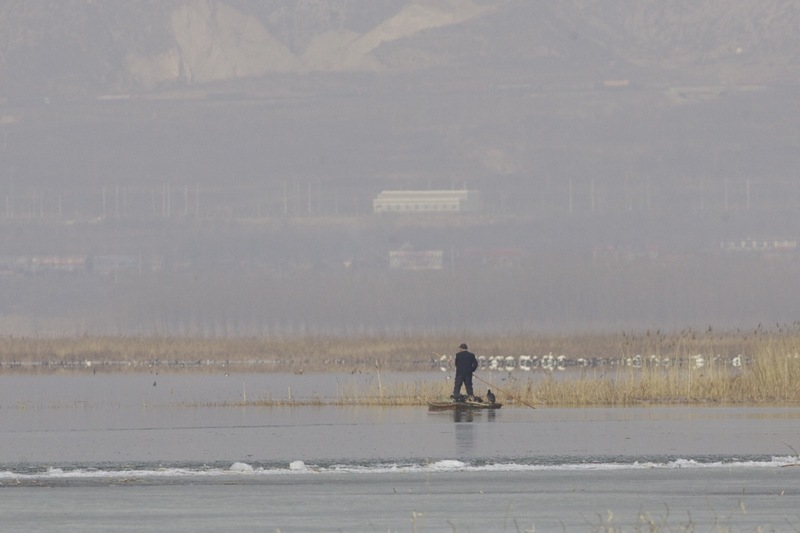 This autumn, the very low water level at Miyun Reservoir has uncovered a large flat area of grass and mud that is proving attractive to many species, including geese, cranes and bustards. And, with the close by hillocks at Houbajiazhuang offering a superb vantage point, it is an exceptional year to observe them. 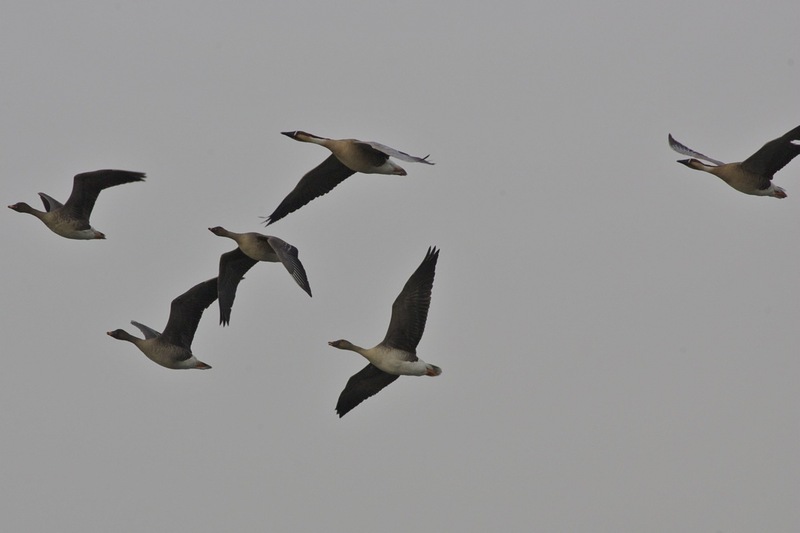 Amongst the early arrivals of Bean Geese, a flock of 40+ LESSER WHITE-FRONTED GEESE have dropped in. They have been present for around a week and, on Wednesday, I was able to secure this video. Superb birds and, side by side with a few GREATER WHITE-FRONTED GEESE, it’s a brilliant opportunity to compare these two similar species.